The image viewing premiere is an experience itself! display and enjoy your images from the photo session. We personally selected some of the best quality products to offer you and to fit any style or decor you have. 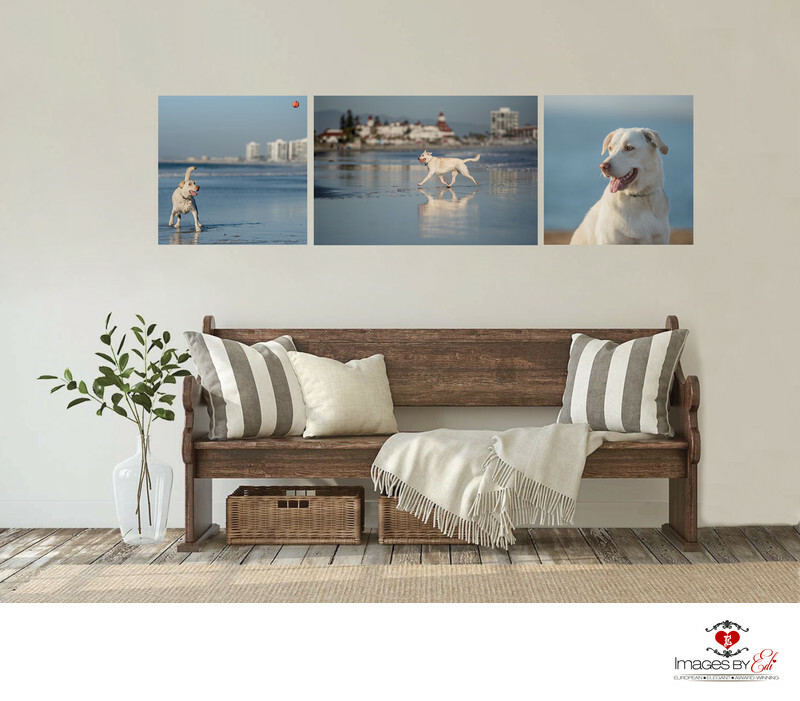 Wall arts are the statement pieces in your home, featuring your favorite subject: Your pet. There is nothing like seeing your favorite images on your wall every day and remembering beautiful memories. We offer four different styles of wall arts: traditional fine art prints, metal prints, canvas gallery wraps and acrylic prints. Perfect if you would like a classic framed print. It's mounted on a styrene board and protected with UV coating. You can achieve the perfect gallery look in your home with professional metal prints. It’s museum quality, timeless elegance for a modern, industrial look and non-reflective surface makes it an awesome piece of art. The wall mount hanging system is included, so it‘s ready to hang on your walls. A professional photo on a traditional matte canvas wrap provide a warm atmosphere in your home with simple elegance, a contemporary look. The matte canvas texture with rich colors gives a lively look with a soft feel to your photo and brings out the natural warmness. Thanks to a highly advanced, 8-color printing technique, the pictures stay vibrant for decades and they are water and smudge proof. The photo canvas wrapped on a high quality wood stretcher frame, what makes it easy to hang on your wall. If you choose to frame your photo canvas it really gives you a more classic look, the look of a painting. For the simply WOW effect! Acrylic gives your home (or your office) a colorful, vibrant and contemporary touch,! The acrylic transforms your favorite image to a perfect premium quality stunning wall décor, a costume wall art with a depth and vibrant colors. The special acrylic glass gives your photo a UV protection and vibrancy that can last for 75 years. The backing is ultra light, but very durable material which provides longevity for your wall art. Hanging system included, so you can hang them on your wall right away. A multi piece collage, a beautiful wall grouping is a really wow factor, it makes a real statement in your home. You can choose from pre-designed wall gallery options or create your own grouping for your space. There is no limit to your creativity! Too many photos you love and not enough wall space? A portfolio box or an album could be a perfect choice for you. We believe that a beautiful product on your wall and on your coffee table is something that you will always cherish, but understand that you may want digital files to share on social media. We provide web size watermarked images as a gift to you of any image purchased as wall art or included in your album. Also, you can purchase all the high resolution images from your photo session to print your gift prints or holiday cards. Save 20 % off from Your entire order!